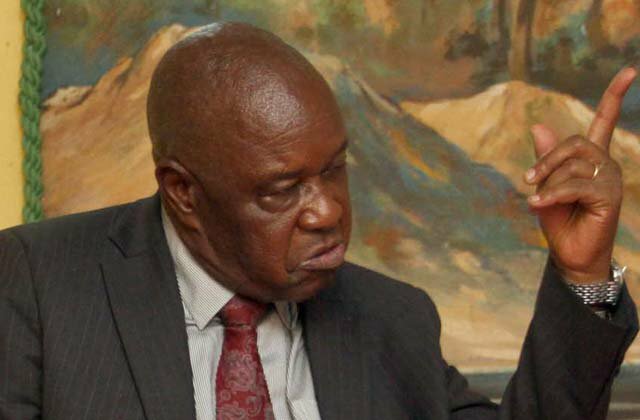 Presidential advisor Ambassador Chris Mutsvangwa's initiative for the establishment of a Transitional Authority to run the affairs of the country between now and the next elections are seemingly hitting a hard rock after civic society stakeholders are snubbing it, a source has sensational claimed. Mutsvangwa was alleged to be meeting members of the church and the civic society to canvass for the establishment of a transitional Authority. "Cde Chris has been trying to burn the midnight oil to recruit people for his project but he has ben meeting resistance." The source from Harare ZANU PF province alleged. "The major challenge that seem to be on his way is that people are still holding a grudge over November 2017 , they feel used and dumped. Remember when the military intervention was taking place, Chris rallied civic society and some opposition members to support the cause intervention. His major selling point was that once va Mugabe resigns, a Transitional Authority takes over which includes people like Dumiso Dabengwa, MDC officials, church and civic society members. "When that project did not happen and Chris was never rewarded he felt used. Hence now he is trying to revive that project but people are snubbing him. So technically the project is seemingly suffering a still birth." The source further alleged.